Open Systems of Cleveland can take care of all your IT requirements so that you can focus on what really matters, your students. We deliver end-to-end managed IT services, all-in-one solutions that will be customized to fit your specific needs within your budget. This means that your school can benefit from full services and support to manage your networks, servers, service desk, asset management, and security. Learn how we can help ones in the K-12 Industry. Our team of IT professionals will also help manage your school’s education apps, learning management systems, cloud backup solutions, and computer and network security throughout the school year and the summer months. 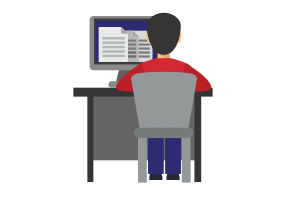 This also means that your students can seamlessly transition between devices securely to complete their assignments. When you partner with Open Systems of Cleveland, you can rest easy knowing that your classrooms are updated, secured, and ready to go.